Can I Play Romania Lotto 6/49 Online? Read 2 Reviews! Days of Draw: Thurs., Sun. What do you know about Romania? Let us enlighten you a little bit further and tell you a story about the country’s most popular lottery. Romania Lotto 6/49 follows a well-known standard that has been embraced by various other national lotteries, as well. Still, the opportunity may be worth trying. Let’s dig deeper to find out all of the good and the bad. Romania Lotto 6/49 isn’t like other national lotteries that came into existence in the 70s and 80s. It’s a more recent game that was officially launched in 1993. Over the years, the lottery has become quite popular among Romanians and the neighboring Balkan nations. This is a traditional jackpot game that features the 6 out of 49 format. The game is the creation of Loteria Romania – the national entity responsible for organizing lottery games, paying out prizes and dedicating some of the funds generated through ticket sales to good causes. Is Romania Lotto 6/49 a Scam? 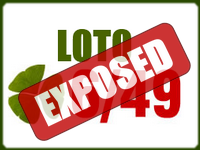 Romania Lotto 6/49 is an opportunity that you can try without worrying about getting scammed. Loteria Romania was established back in 1906, giving the national operator decades of experience in the field. Lotteries in the country are 100 percent regulated by a legal framework, which outlines who can pay, how prizes are distributed and whether lottery winnings are subjected to taxation. In 1992, Loteria Romania joined European Lotteries and the World Lottery Association. Both of these organizations are highly esteemed and both of them work towards advancing the interests of state lottery entities. Thus, the two organizations introduce ethical standards and modes of operation that ensure quality and transparency. Because of its long history, the popularity of its games in Romania and the membership in international organizations, Loteria Romania can be considered completely legitimate. As long as you buy your tickets from an authorized retailer or a reputable online agent, you have nothing to worry about. Today, Loteria Romania supports numerous charities and good causes. By buying a ticket, you will also be contributing to their funding. The national lottery has carried out campaigns and raised money for landmark restoration, building renovations, culture and the support of musicians/artists, etc. If you need the feel-good element when buying your lottery tickets, Romania Lotto 6/49 will definitely do the trick for you. How to Play Romania Lotto 6/49? Romania Lotto 6/49 drawings take place two times per week – on Thursdays and Sundays. To participate, you should be prepared to spend 4.8 lei on a single entry (approximately 1.2 dollars). Players choose 6 numbers in the range from 1 to 49. To win the jackpot, they have to match all 6 drawn numbers for the respective date. Depending on the number of correct matches, players can win one of the 4 available prize tiers. A ticket that’s bought in Romania Lotto 6/49 can also be used to participate in another Loteria Romania game called Luck (Noroc). Every single ticket comes with a 7th number that is assigned randomly. Depending on matches, it is possible to win additional prizes. Get 6 numbers correct and you’ll win the Romania Lotto 6/49 jackpot. The odds of this happening are 1 in 13.98 million. The biggest jackpot ever won reached 48.95 million lei and it fell in the summer of 2013. The lucky ticket was purchased in the city of Galati. The second biggest jackpot ever was won in January 2008. The amount was close to the record jackpot – 46.93 million lei. As you’ve guessed already, the jackpot rolls over if there’s no winner. This is how it can reach a pretty impressive number after a few drawings in which nobody matches all 6 of the required numbers. The other prize tiers vary. The amount you’ll win will depend on the number of tickets won and the people who have gotten the respective set of numbers right. The prize pool for each of the lower tiers is a percentage of the overall ticket sales. As of June 206, the reward for getting 5 correct numbers was 19,990 lei (about 4,900 dollars). The odds of this happening are 1 in 54,201. The third prize tier handed out for 4 correct numbers is 377 lei and the odds are 1 1,032. Finally, getting 3 correct numbers will produce a prize of 30 lei and the odds are 1 in 57. The Romania Lotto 6/49 jackpot is paid out in the form of a cash lump sum. Keep in mind, however, that Romania has 3 tiers of lottery prize taxation. No matter what your nationality is, your prize will be subject to these local taxes. The tax rate for prizes of up to 66,750 lei is 1 percent. Prizes between 66,751 and 445,000 lei will be subject to a flat tax of 667.5 lei and a 16-percent tax for the sum that exceeds 66.750 lei. Finally, prizes that go beyond 445,000 lei will be subject to a flat tax of 61,187.5 lei and a 25-percent tax for the amount that goes beyond 445,000 lei. All of the winners have 365 days from the date of the drawing to make a claim. Loteria Romania starts paying out larger prizes approximately 30 days after the drawing date. Keep in mind that the jackpot can be claimed solely in person and at the Loteria Romania headquarters in Bucharest. Can You Buy Romania Lotto 6/49 Online? Romania Lotto 6/49 is popular across the Balkans and in some other European countries, as well. This is the main reason why several authorized online lottery agents have started offering Romania Lotto 6/49 tickets to international players. If you choose the services of such a website, you’ll submit your numbers and the payment online. The lottery agent has local representatives that are responsible for buying tickets on behalf of the clients. A smaller prize that you win will be credited directly to your online account. If you win a very big sum or the jackpot, you’ll need to make the prize claim in person by traveling to Romania. Would you mind rating Romania Lotto 6/49? Is Romania Lotto 6/49 the right international lottery for you? We don’t know! It really depends on your expectations and the types of games that you enjoy the most. One thing is certain – the opportunity is legitimate and quite affordable. You can easily give it a try to figure out whether you like it. The shortcomings aren’t that big, especially when the cost of a single entry is taken in consideration. Some people have won juicy sums by playing Romania Lotto 6/49. Test the game, see how you feel about it and who knows – maybe it would become your next international lottery favorite. How Much Does It Cost to Play Romania Lotto 6/49 Online? The perfect game for a first timer. I don’t think the rules are complicated at all. It’s also one of the few native European lottos that have their lottery available online for international players so that is really commendable. I wish more native lotteries would follow suit and make their games available to more international players online, at least the ones in European countries. Great that it’s a game for international lottery players. Great that you have 365 days to claim your prizes. Bad that there is tax and it looks fairly complicated. Okay – we get that there is tax, but I don’t see any mega jackpots that would make this attractive. This looks pretty average though there is no reason not to play.